We publish here for the first time a tribute to our late beloved John Vennari, written shortly after his death by his friend and colleague in arms, Dr. Brian McCall. 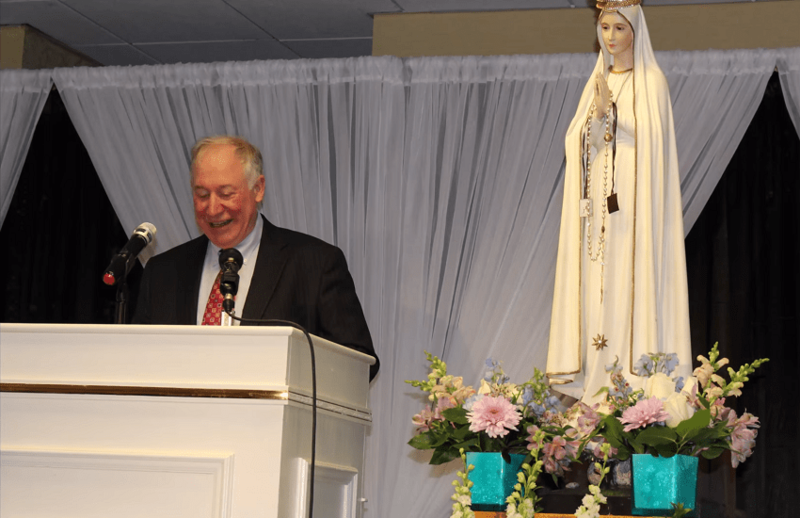 The timeliness of this writing is now renewed and accented by The Fatima Center’s upcoming Our Lady’s Army of Advocates Conference which will take place in John’s hometown, Philadelphia, on the weekend of November 9th. 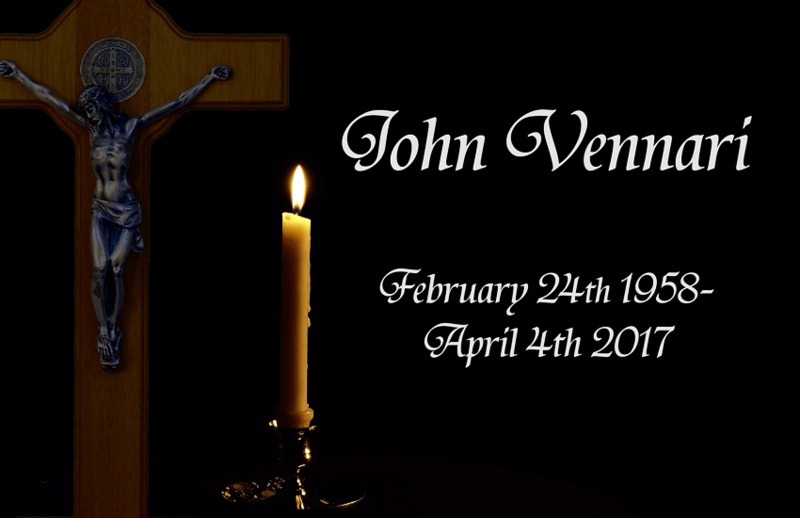 It is very fitting now, during this holy octave of the Feast of All Saints, in which the Church encourages us to remember the souls of those who have had a special place in our lives, for us to remember John and his dedication to this program of weekend conferences. We greatly miss, and now all the more appreciate, the wisdom and wit and contagious joy that he brought to so many of these events as our faithful emcee. May he rest in peace, and may he assist us with his prayers at this upcoming conference! The Traditionalist movement, the Catholic Church, and our World have suffered a loss. The Church Triumphant’s gain (either now or after a stay in Purgatory) is the Church Militant’s loss. It is hard to find words to express the contribution John made to our Church and world. Those who knew him better than I can recount more accurately than I the details of his life. I was privileged to know him for about the last decade of his life (even though we discovered we both were Philly boys (separated by a generation) who had attended rival (formerly) Catholic high schools. Certainly, he had a brilliant mind and was a voracious reader. I was always amazed by how well read he was on almost any subject. Yet, what made John so unique was his ability to explain the most complex and detailed points in such a simple and comprehensible manner. God, the most perfect of all beings, is perfectly simple. Our Lord urged us to have the Faith of children because although God contains all knowledge and all being, He does not do so in a complex, complicated way. Usually only children can perceive the beautiful simplicity of God. John understood with the Faith of a child this fundamental truth and it permeated his writing and his lecturing. This was the reason he could see through the smoke and mirrors of Modernism and immediately gravitate to the simple Truth. He could explain doctrines of the Faith, complicated interwoven history, and even convoluted Post-Councilior documents in a simple, straightforward way that anyone no matter their educational level could easily grasp. John was just as comfortable talking to a PhD holder, a child, or an 80-year-old lady who never completed 8th grade. I think John survived the crisis in the Church because of this incredible ability to cut through complexity and see reality for what it is. He was not lost in the maze of Neo-Modernist labyrinths. Beyond this ability to see the essence of things, John’s other endearing quality was his sense of humor. One could easily become downcast in a Church in perpetual civil war and civil society degenerating by the minute. John never gave into the temptation to become a white sepulcher of grief or to bitter zeal. He hated error and Modernism but he loved the Faith, his family, and life in general. He loved a good joke or funny story. His conferences, even on the most serious of topics, always wove a thread of humor or satire throughout them to keep a smile on the lips of his audience. He loved music. My fondest memories of John are enjoying the sight and sounds of him playing an eclectic collection of music with his children at the end of a long day at a Catholic Family News conference. His face beamed with a vitality and a spiritual joy. It always brightened my day to receive an email from him busting his vest buttons to share a picture of his daughter performing in a prominent concert or simply reporting on one of the children’s academic successes. His life is a most needed reminder to those who fight this Traditionalist fight of how to marry staunch opposition to error with peace and joy. Being firm in the Faith and fighting error doesn’t mean we have to be like Puritanical preachers breathing fire and denouncing the joys of food, laughter, and song. As we live so we shall die. This is an old adage that proved so true with John. I don’t think I have known anyone who accepted the death God had prepared with such resignation and peace. The last telephone conversation I had with him and the last email correspondence all let me witness a Man joyfully happy to fight the good fight until his very last breadth and with vitality in his heart. His was an exemplary final year of life for all. I secretly wonder if his ability to endure suffering with joy is the cause of the medical profession’s failure to diagnose his condition for so many months. I don’t know for sure (since he was so understated about his condition) but I would bet that this time last year he was enduring suffering that would drive weaker souls to throw themselves at the feet of a doctor writhing with unbearable pain. John simply took all of it in stride, the uncertainty as to the diagnosis, the unlikelihood (naturally speaking) of a cure, and the final battle. He maintained a lively hope in a supernatural cure while he continued his work from his hospital bed until the end. His hope for a cure was not a desperate or frantic pleading. He seemed truly to accept God’s Will, whether that would be to give glory to St. Philomena by allowing a cure or to call him out of this life. I can only pray I will accept my own death as he did. I write these few lines on the day of his Requiem and interment. Commitments at my work on Friday (and pathetic airline schedules) prevented me being where my heart longs to be today, praying for John’s soul in the presence of Our Lord and John’s mortal remains. All I can do is offer these few thoughts and unite my prayer and communion at Mass in our little chapel here to the Sacrifice that is present here and at his Requiem as it is the one and same Sacrifice. Farewell, true and faithful friend. When you reach your eternal reward, cast your gaze sometime in the Beatific vision on those of us who remain here below and intercede for our perseverance to follow you on the sure road. 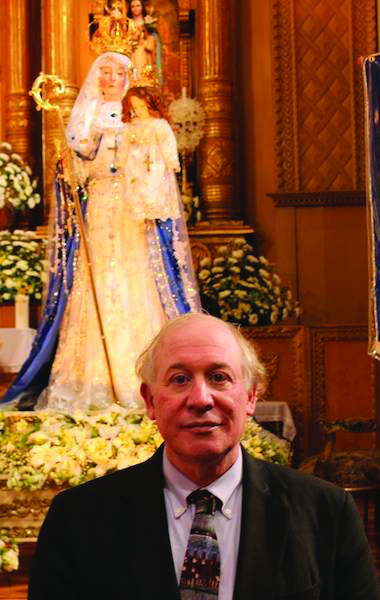 We mourn your loss and wonder how we will carry on the fight without you but we know you will bring a unique spark of life and a smile to the Blessed Virgin in whose service you labored so long, St. Philomena, St. Joseph, Father Gruner, and all the Blessed whom you have joined or will join soon. The light of your life which you placed on such a high hill will be our beacon until God willing we meet again.